New NuNaturals Stevia Flavors and a Giveaway! NuNaturals Stevia is my favorite brand of liquid stevia for just about anything I need to sweeten because, unlike other brands I’ve tried, it does not have a bitter aftertaste and a little goes a long way. 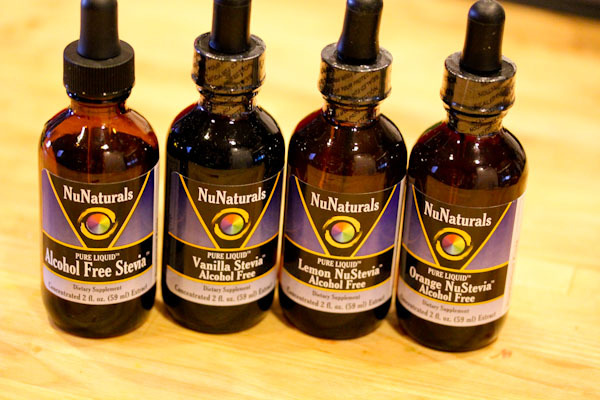 NuNaturals recently came out with two new flavors of liquid stevia they sent me to try, Pure Liquid Lemon NuStevia and Pure Liquid Orange NuStevia, and I’ve been having a great time trying them in various recipes. 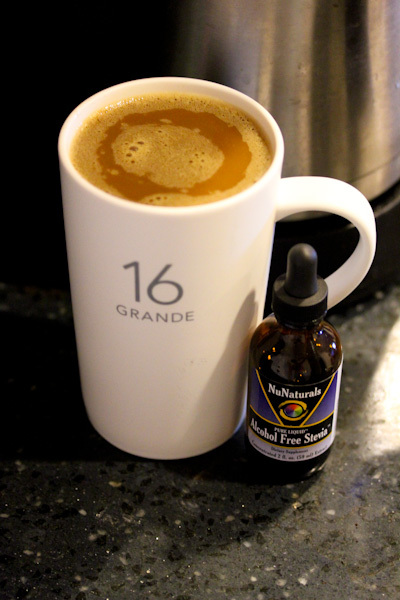 I’m a huge fan of the Pure Liquid Stevia and and Pure Liquid Vanilla Stevia as regular additions to coffee, teas, smoothies, chia seed puddings, stir fries, pancakes, ice cream, and even popcorn. And I’ve been having plenty of fun trying the lemon and orange flavors after discovering they’re very strong, like sweetened flavor extracts that just a few drops add a lot of flavor. I really like the orange flavor in breakfast smoothies, it creates a creamy, orange treat with vanilla flavored protein powder. 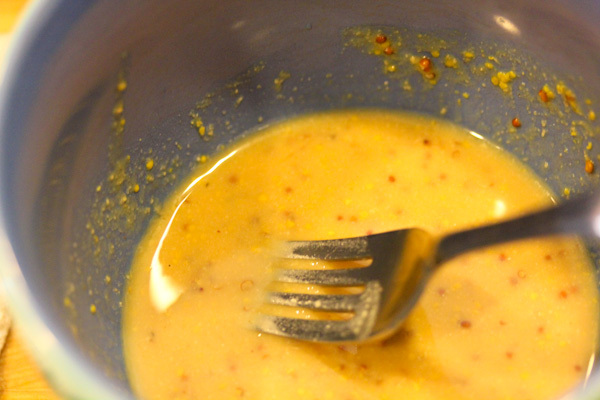 The regular, orange, and lemon flavors work great for quick miso salad dressings. 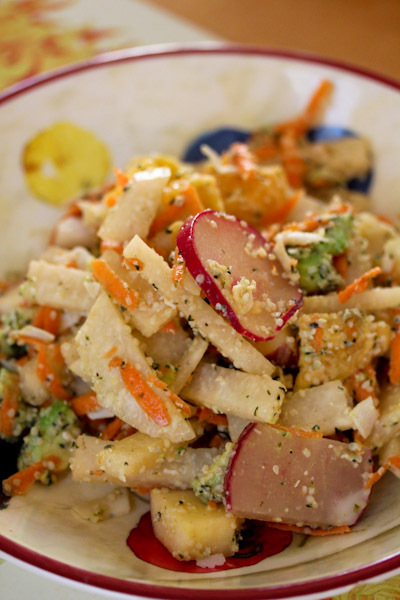 The flavored stevia and tangy vinegar made a very flavorful salad. 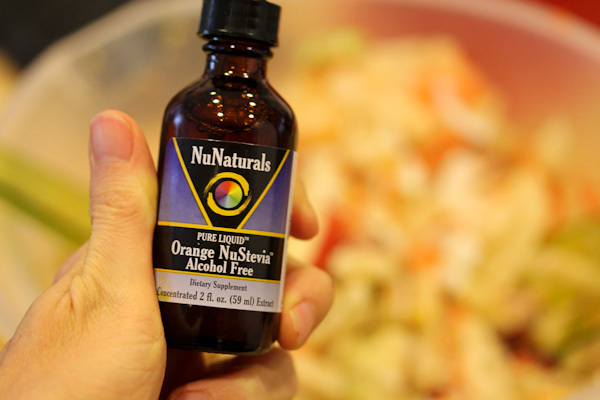 And the orange and lemon flavors work great as stand alone salad dressings for hybrid fruit and veggie salads. 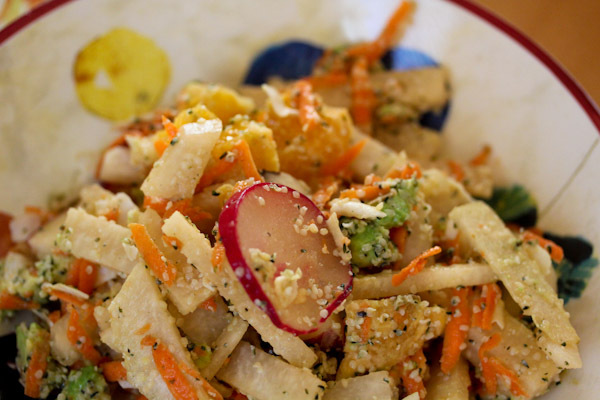 I created a chopped jicama salad with radish, carrot, apple, avocado, and orange using just hemp seeds and a splash of orange stevia for the dressing and it was a fabulous sweet dinner salad. And I wasn’t craving a sweet dessert after it! The new stevia flavors would make excellent flavor enhancers for fruits salads, raw desserts, herbal teas, sweet dehydrator breads, baking … the list could go on! You can order Pure Liquid Stevia directly from NuNaturals and get a 15% discount by using discount code BLG0612 at checkout, effective until June 30th, 2012. And you’ll also get free shipping on orders over $35 in the continental US. And leave a comment for each. I will announce the winners one week from today on May 28th, 2012. Good luck! I’d use the stevia in baking and in coffee and other drinks. oh this is so great! i have been dying to try liquid stevia. thank you for this opportunity! 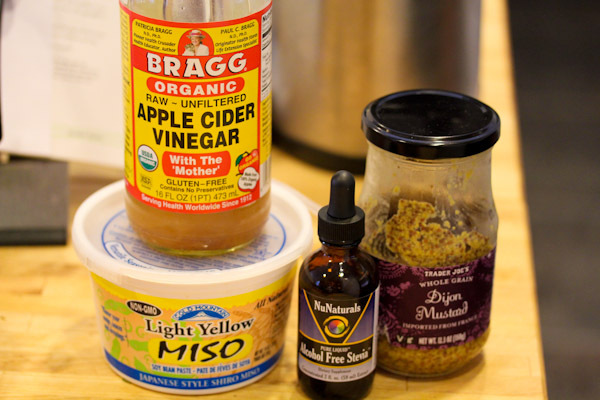 I would put it in my juices, elixirs, salads, veggies, fruits smoothies I use it on everything! THANK YOU! I would love to use them in smoothies, oatmeal, and salad dressing. I like nunatruals on facebook! of course i liked the raw project on facebook!!! I would like to use them in some raw desserts i have in mind. I have already put away 20 pounds since eating right and healthy. Love this new lifestyle change and the positive effects of it!!! i’d use them in banana/spinach smoothies i like to whip up. i love the taste of banana, but sweetness layered on top of that tastes great, too. I love your idea of putting it in salad dressing. I’d love the orange and lemon in sparkling water. 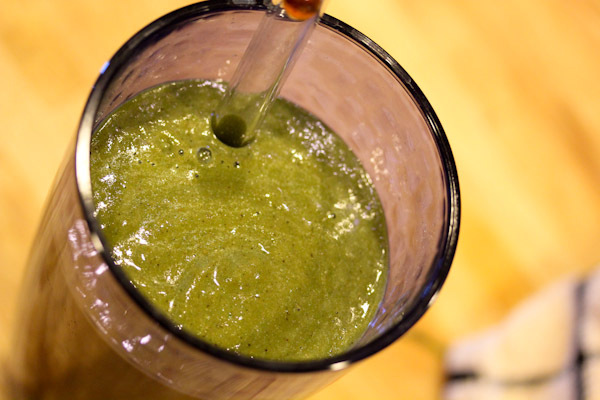 I would use the stevia to make cold, summer drinks! Yum! I’m following NuNaturals on Twitter, too. 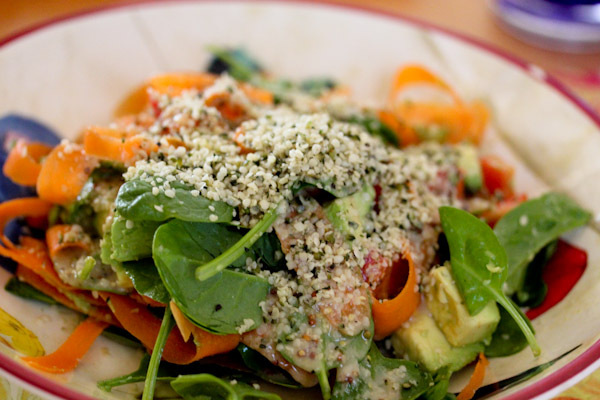 Oh, I am copying that salad right away, even though I don’t have the orange stevia. That looks so refreshing for summer. 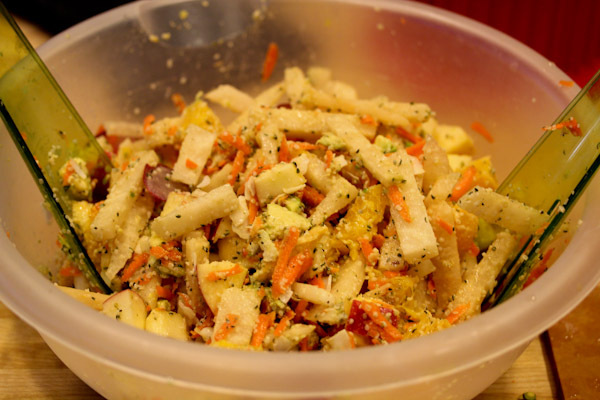 I really want to try to marinate some tofu for the bbq. If I win, I will definately make an Asian inspired marinade. I am excited to see the new flavors.